On August 28, 2015, the Governor of Sudan’s Gedaref State, Merghani Salih “called for redrawing borders between the Sudan and Ethiopia.” This call is intended to finalize secret deals that EBAC, in collaboration with Ethiopian opposition political and civic organizations, has rejected numerous times over the past decade. Once again, we are obliged to protest this sinister act by the dictatorial governments of the two countries in the strongest terms. Among other things, ceding Ethiopia’s territories undermines its territorial integrity, sovereignty, security and the legitimate interests of the Ethiopian people. We remind both governments that the respective territorial limits of both countries were defined by the Anglo-Ethiopian Treaty of 1902 at the turn of the last century when Great Britain was the colonial power administering the Sudan. As is customary in international practice in delimiting national boundaries, the treaty provided for the setting up of a Joint Boundary Commission to be appointed by both sides to carry out the actual demarcation of the boundary on the ground. Upon completion of the demarcation process both parties were required to notify their citizens of the boundary as demarcated. This has not been done. between the two countries has never been demarcated by a joint commission. Contrary to both the spirit and letter of the provisions of the treaty, Great Britain appointed its own officer, Major Charles W. Gwynn, to unilaterally and arbitrarily demarcate the boundary without the knowledge and the participation of Ethiopian boundary commissioners. In the event, the demarcation line which resulted from this high-handed exercise greatly favored the Sudan while causing Ethiopia to suffer a corresponding amount of territorial loss. This was vividly affirmed by the words of Major Gwynn when he testified on his report by saying, “I acted ultra vires”, meaning, “I acted beyond my power”, referring to his give-away of vast lands to the Sudan on top of his unilateral demarcation of the border without including the Ethiopians by violating the mutual agreed border treaty signed between Ethiopia and Great Britain. Hence, the current call for “redrawing the borders” is tantamount to accepting the Sudanese claim that the unilateral demarcation undertaken by the British has validity. Our contention is that no such validity exists. Until the current dictatorship took power in Ethiopia, successive Ethiopian governments had been consistent and unequivocal in rejecting the validity of Sudan’s claims. Instead, these governments had called for a negotiated settlement of the boundary on the basis of the original treaty with the full knowledge, participation and consent of peoples likely to be affected by the demarcation line. The current government of Ethiopia has no right to subvert and undermine this long standing position. EBAC continues to argue that the international political system grants a considerable degree of importance to rights in respect of territory. The function of a boundary between states is the attribution of territory and, thus, the extent of a state’s territorial sovereignty. When the extent and limits of a state’s territorial sovereignty are determined solely and arbitrarily by one state with the collusion of a non-representative and illegitimate state to the detriment of Ethiopia, the boundary so determined becomes an enduring source of friction and tension between the adjoining states that neither the Sudan nor Ethiopia can afford. Redrawing the border at enormous costs to the Ethiopian people will inevitably cause permanent discord and lead to more instability in the region. EBAC believes that neither the government of the Sudan nor the government of Ethiopia has legitimacy and legal credentials to make the secret deals that we have exposed and protested numerous times. In this regard, we call on the Ethiopian people to be vigilant and to reject the “redrawing” of their country’s borders conducted under duress and without their knowledge, participation and consent. The amount of fertile farmlands, rivers basins, mountains and hills, flora and fauna and other natural resources involved are substantial. These illegal transfers will affect Ethiopia’s 100 million people adversely and permanently. Indigenous people whose livelihoods depend on the security of these lands will end up poor and landless. No Ethiopian government can afford to sacrifice, dispossess and marginalize its own citizens in order to reward its Sudanese benefactors. On the basis of the Sudanese press and Ethiopian sources, EBAC has pointed out repeatedly that, under the secretly-negotiated and concluded deals between the President of the Sudan and the late Prime Minister of Ethiopia, huge swathes of our ancestral lands will be ceded to the Sudan. The Ethiopian people received these reports with utter disbelief, resentment and anger against their own government and will continue to reject their implementation. 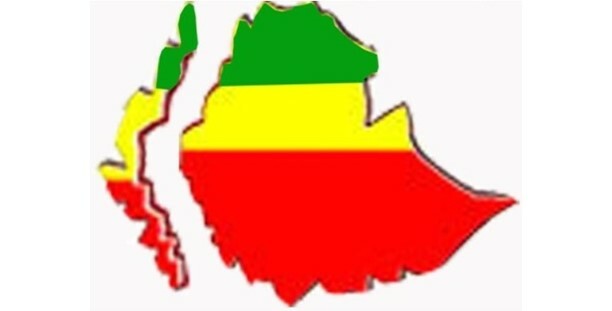 Neither the current generation of Ethiopians nor those of future generations will allow the deal to stand. “Redrawing” our country’s borders without the consent and participation of the Ethiopian people constitutes a serious violation of the treaty regime set up at the turn of the century. It is an affront to the sacrifices of past generations of Ethiopians who struggled hard to preserve the territorial integrity of their country. As we said above, thousands of our people will be forced to lose their homes, farms and investments if the border deal is implemented without their participation and consent. On our part, we call on the Ethiopian people to hold their government accountable for this treachery. EBAC has sent a formal letter of protest to the Secretary General of the United Nations and to the Head of the African Union rejecting the demarcation and the “redrawing” process. We have alerted the global community that the border deal of today hatched by unelected elites will be the ticking bomb of tomorrow. Since it has neither support in law nor received the consent of the Ethiopian people, it will be a major source of friction and tension between the brotherly peoples of Ethiopia and the Sudan. The Horn of Africa is home to several failed states; it does not need an additional source of insecurity and instability beyond those that already plague the region. EBAC is compelled to state clearly that the government of Ethiopia has a choice. It can forestall the dangerous situation of “redrawing” Ethiopia’s border with the Sudan and honor Ethiopia’s territorial integrity, sovereignty and national interests; or accept responsibility and accountability for the disastrous consequences that will follow for generations to come. In this regard, we urge Ethiopia’s Defense Forces to side with the Ethiopian people and defend their lands and borders. Last and most important, EBAC should like to go on record as asserting Ethiopia’s right to territorial sovereignty as defined by treaty – and not any other agreement that is reached behind the back of the Ethiopian people. EBAC reserves the right to not honor any boundary that results from the agreement of an unelected government that is devoid of any support or legitimacy among its own people. EBAC also urges all Ethiopians within and outside the country to voice their rejection of the ceding of Ethiopian territory to the Sudanese government. We never compromise with our territorial integrity and sovereignty!